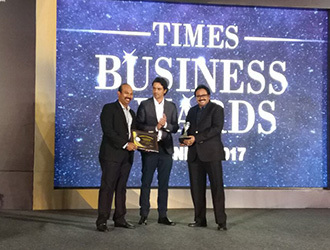 Kerry Indev secured two prestigious awards at the Times Business Awards 2017. The awards are a testament to Kerry Indev’s continued push towards innovation and excellence in the logistics space. 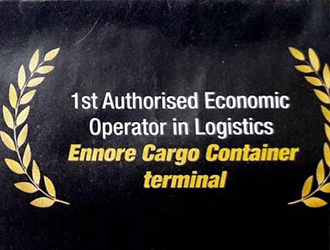 Kerry Indev was named the Best AFS Private Operator while the company’s Ennore Cargo Container Terminal became the First Authorized Operator in the Logistics space. These awards represent another feather in the cap for Kerry Indev. The reward is a recognition of the spirit of innovation & excellence that permeates the organization. 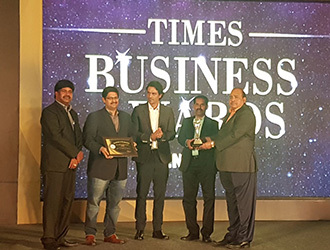 It is also a recognition of our unwavering commitment to delivering customer satisfaction and going above & beyond expectations to achieve it.